Parlor Larps were created in 2005-2006 in my previous studio, Shifting Forest, in partnership with G. Crowley. This page includes most of the games in their original form. Please note that as early commercial one-shot larps, these games are a product of their time both in terms of system and content. Today, most players opt to eliminate the conflict resolution mechanics. A few days ago, a young hero and the armies of good defeated the great evil sorcerer, Argentin, and saved the world. They fought his forces, stormed his tower, and ultimately killed him high on the battlements. Set in the aftermath of a classic fantasy epic, this story is not about the heroes, or the kings, but about the evil sorcerer’s servants. Lost in the confusion of the battle, taken prisoner afterwards, then held automatically culpable for their master’s crimes, this small group served the daily needs of a man who had tried to conquer the world and lost everything when he was defeated. Sitting in a dungeon in what may be the last hours of their lives, they must sort through the meanings of loyalty, identity, and responsibility, to learn to understand a world without Argentin. This adaptation of Shakespeare’s Hamlet is set the day after Hamlet accidentally kills Polonius. Hamlet is about to be sent away to England in a few hours, and will not have another chance to kill Claudius perhaps for years. The majority of the court, Ophelia included, has been told that Polonius accidentally fell down the stairs. At the queen’s insistence a small gathering is held to send Hamlet off. In the middle of it all, Laertes returns unexpectedly, demanding to see his father. Very basic familiarity with the plot and characters is required for players. The Director should have read the play. 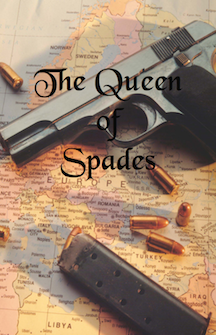 Marissa Islington is a powerful and ruthless woman with almost as many enemies as criminal connections. A group of these enemies wake to find themselves trapped on a boat in the middle of nowhere with each other, a suspicious letter, and Marissa herself. Nobody knows how they got there or what will become of them when morning comes. As the night goes on, murder will be committed and secrets revealed. Everybody has a motive and a past they thought they’d left behind. The Union of Planets and the Cerian Empire stand on the brink of war. Sixteen light years away, two civilian science vessels simultaneously reach a distant unexplored system. There, they discover the first sign of alien intelligence ever found: an eerily terraformed planet with advanced technological structures, but no inhabitants. Midway through their approach, however, they are shot down by automatic defenses and forced to abandon ship to the nearest space station. Stranded far from home with unfamiliar people and a technology that could change civilization, these scientists must contend with the ethics of patriotism, politics, and war. A simple story about love and dreamers. Brookview is an engaging New England town with a wealthy and aloof leading family, a quaint local college, and a little magic. On a clear night in late November, a group of college friends all associated with the same enigmatic professor gather in a warm house under a full moon. Romance and magic are in the air when the local heir arrives unexpectedly, and the enchantments that follow will remake events set in motion long before any of them were born. THE FOLLOWING GAMES INCLUDE CORE THEMES OF SEXUAL VIOLENCE AND/OR CHILD ABUSE. Please be careful as this content is not consistently treated with sensitivity, and is sufficiently core to the plot that the games cannot be played without it. We currently do not have plans to update these games, so please handle with care. 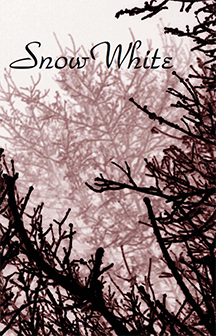 Of all traditional fairy tales that were adapted and censored for children in modern renditions, Snow White has perhaps undergone the most change. Today’s bedtime story of an innocent princess, seven happy little men and true love forgets the original undertones of desperation, passion, poverty, and sexuality. One cannot tell the true story of Snow White without going back to a time in which men were valued only for their size and stamina, and women only for their beauty and ability to bear children; a time in which glass was so rare that a polished mirror was truly a frightening thing of magic. Most of the original characters and a few new ones are present in this adaptation of the older, darker, and more vivid story of Snow White. It is set in the hours before the execution of the Queen and subsequent wedding of the Prince and Princess. A time of last chances and new beginnings. The fantastically wealthy and eccentric Henry Delacroix is throwing his sixtieth birthday party in his vacation home in Antarctica, inviting the handful of associates who can actually stand to be around him. The party proceeds at the expected level of awkwardness until a seemingly trivial event forces the host to reassess his priorities and rapidly changes everything. That night, old crimes will resurface and fallen souls will rise in rebellion. Guests suddenly trapped in an isolated parlor must untangle the old man’s life and his disturbing theology in order to take sides in a cosmic battle. Their successes and failures will decide the fate of the gods and the future of the world. The beginning of winter in Washington D.C. is marked by a huge snowstorm that blankets the city, stopping traffic, blurring vision, and turning gray to white. Amid it all, a group of hostages from seemingly unrelated backgrounds are kidnapped out of their daily lives. Their captors affix them with electronic collars and lock them in a room under guard. During the next few hours, a series of tense and obscure negotiations will take place over the telephone. As urgency rises and fates are decided, the issue of just how much to cooperate gets called sharply into question. Westenbridge, Massachusetts might be both the richest dangerous neighborhood and the most dangerous rich neighborhood in the country. Children disappear every week. High school students in dry-cleaned shirts sell high-quality cocaine in the halls between classes. It’s a town that cares everything about appearances, and appearances alone. This Halloween, old magic is rising. The influential Cunningham family is throwing a late party in their gigantic house. Before it starts, a group of family members and acquaintances are suddenly and inexplicably trapped in a rarely-used side room. In a group where most people don’t believe in magic and everybody hates one another, surviving whatever strange forces are at play seems almost secondary to surviving close quarters with each other. That night, while a party carries on outside, they will discover the secrets they never knew about the people and the town they have known all their lives.